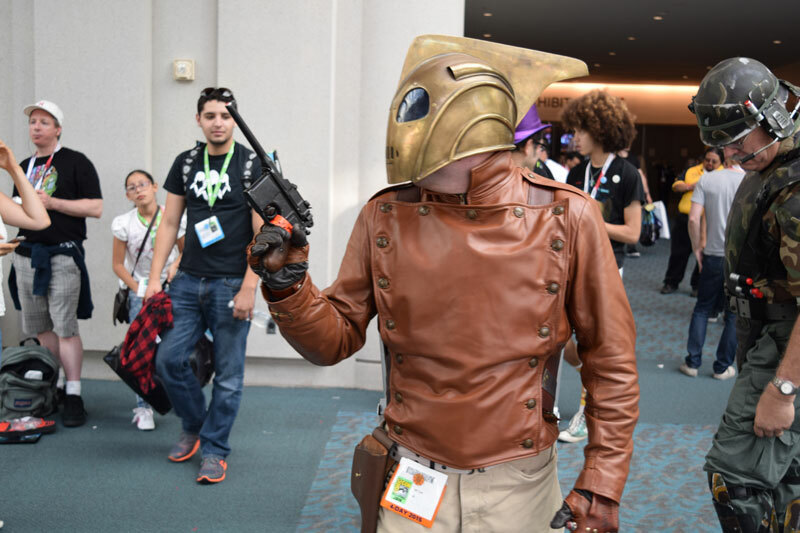 Cosplay has become synonymous with geek conventions and SDCC brings out the big guns each year. 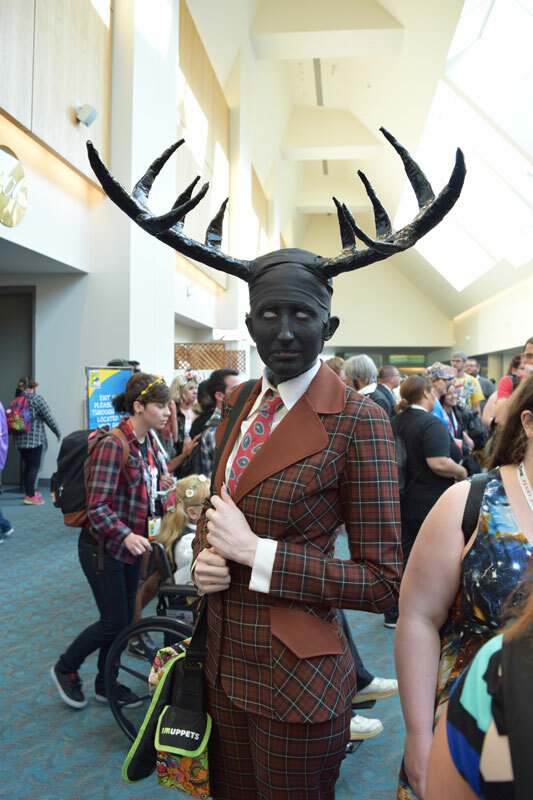 While there are a ton of people dressed up I try to find some of the more unusual and imaginative cosplayers each year. While there are a lot of people who dress up it’s never seems as if you get all of the ones that you hear about. Here are some of my favorites that I found at the show this year. I also had help this year from my friend Glenn, Ryan Claytor, and Batton Lash. This year Loot Crate got some great ones. I will credit them with their respective photographs. 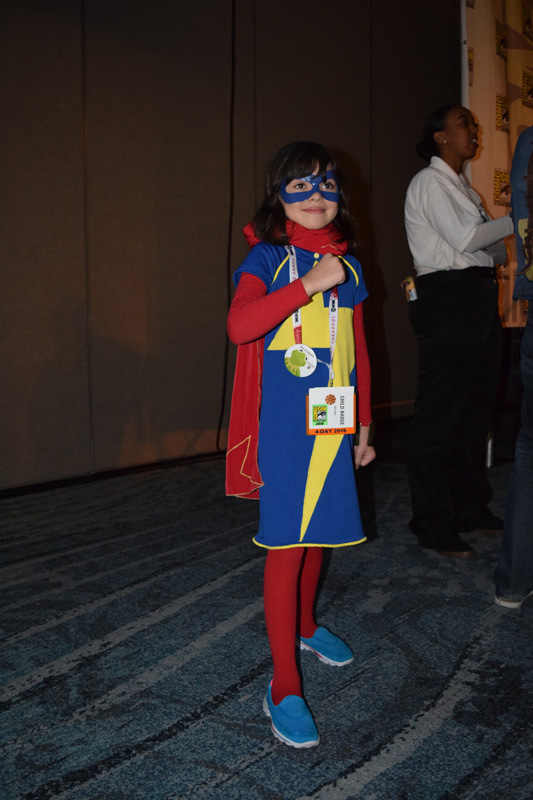 Not only was Marley an amazing Ms. Marvel she stole the show at the Marvel animation panel. 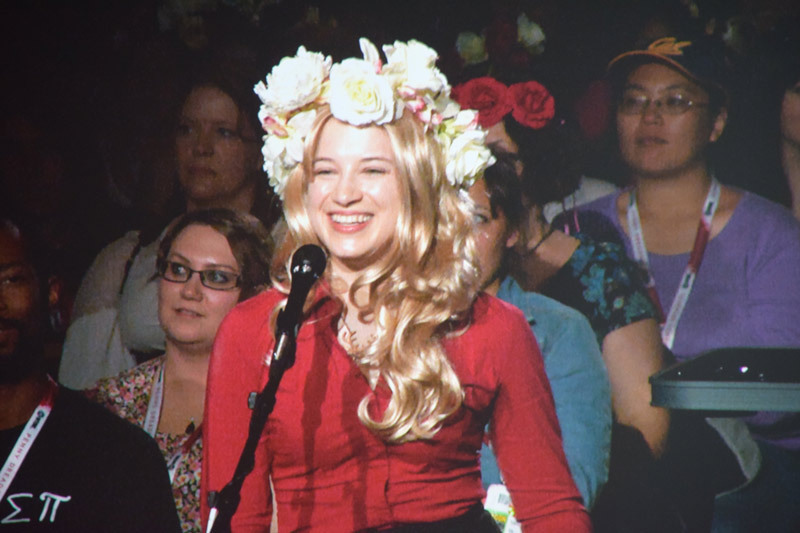 She asked a super smart question to the panel and they loved her so much that they asked her to sit on stage with them and she answered questions and added great comments. 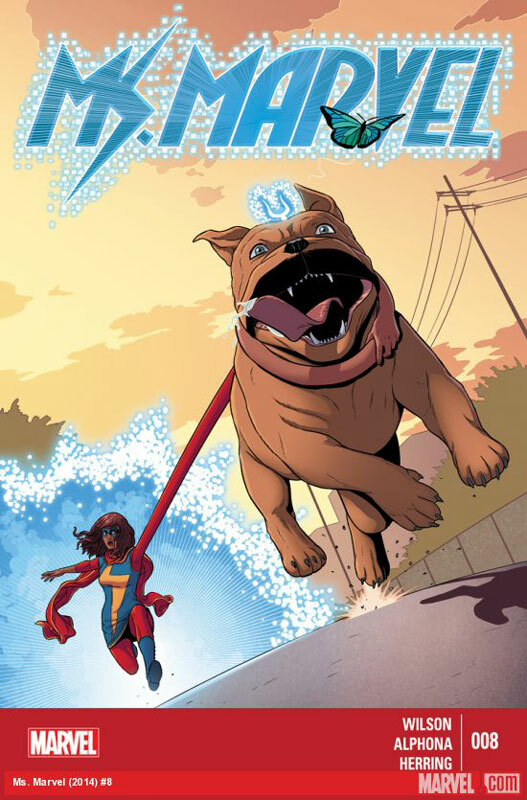 Her Marvel knowledge was very impressive for her age. I spoke to her parents and they said that she not only watched the films and animated shows but read a lot of comics and books too. 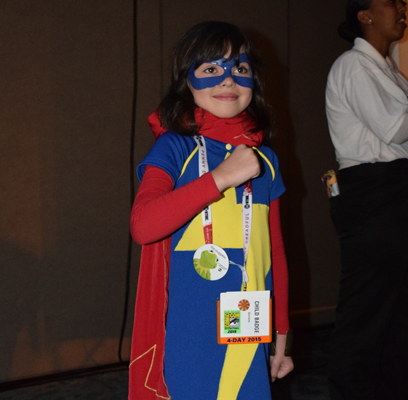 She stole the panel and went on to rule the show floor all day long as you can see from her dads twitter feed. The crowd loved her and she was beyond adorable! 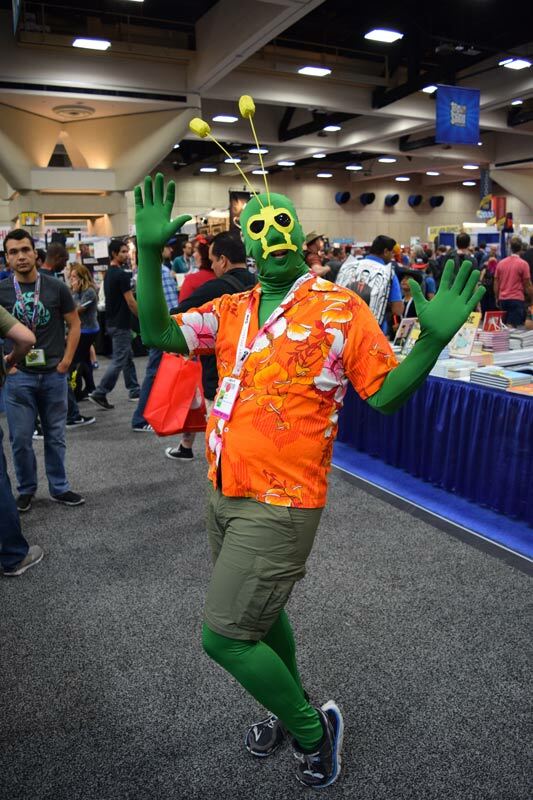 Holy Toledo seeing this guy as Ambush Bug truly made my convention. 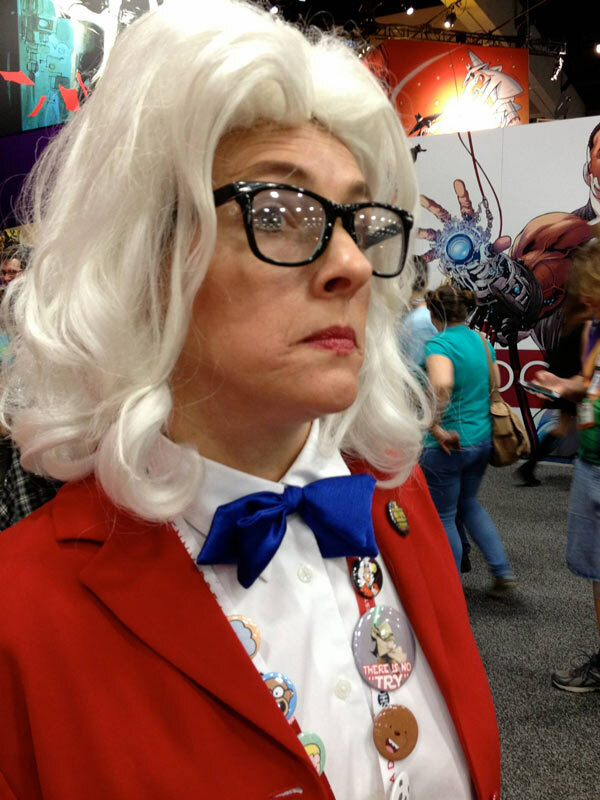 Because there are a lot of older attendees at SDCC you tend to see more obscure and older comic book characters at the show. This was for me a show stopper. 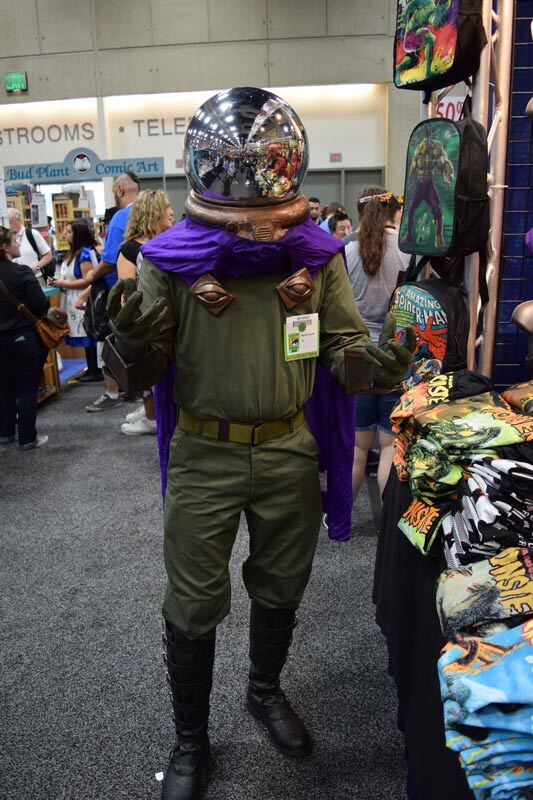 I have never seen a Mysterio from Spider-Man but this guy did a great job on the costume. I asked him if he could see and he said barely but I told him it was worth it because he did such a great job on it. 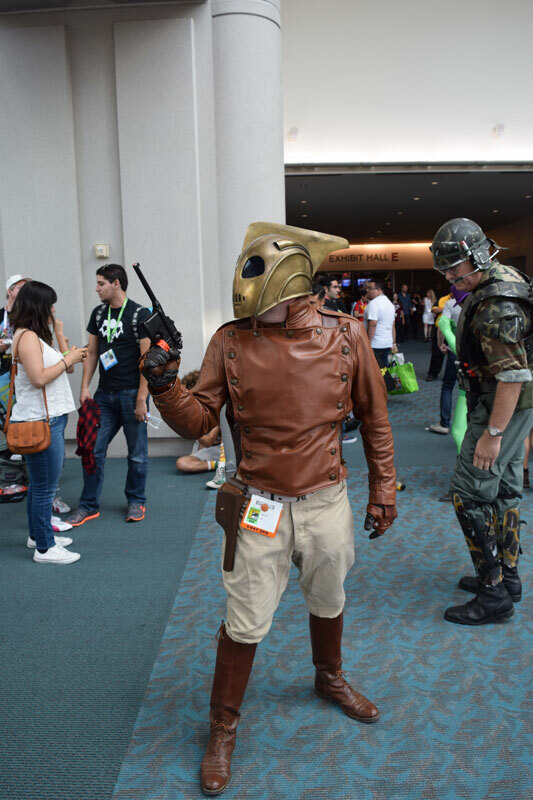 This guy really nailed the Rocketeer. 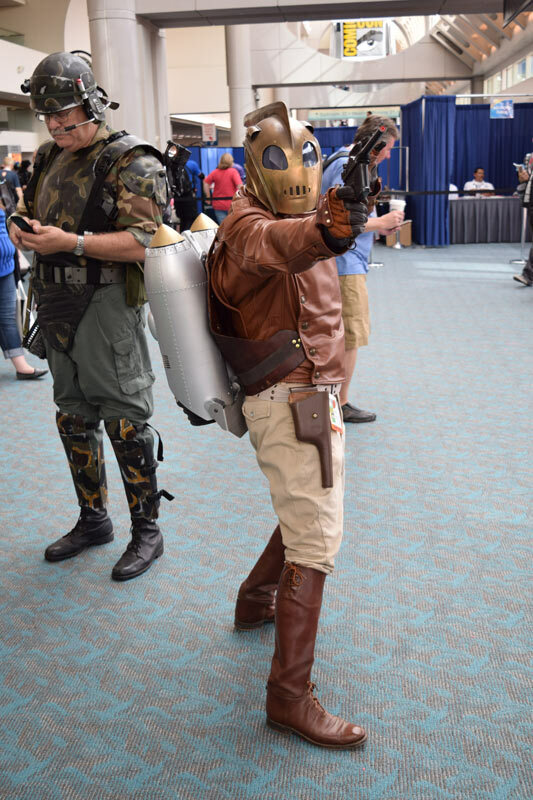 He perfectly recreated every detail of the costume and had the poses down perfectly. 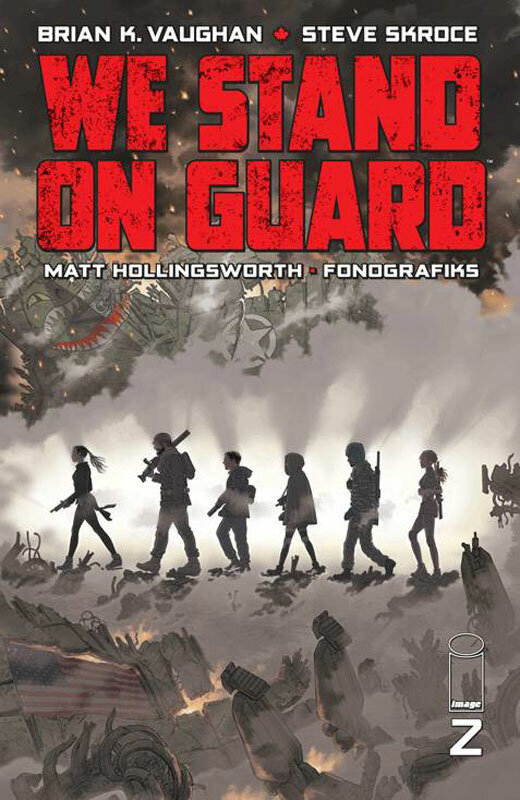 Dave Stevens would have been proud. 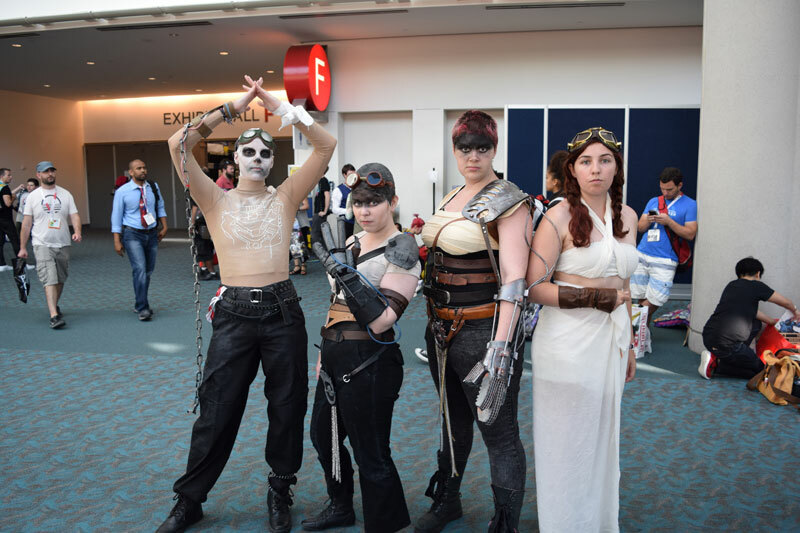 Mad Max Fury Road cosplay so soon after the film was a very welcomed. 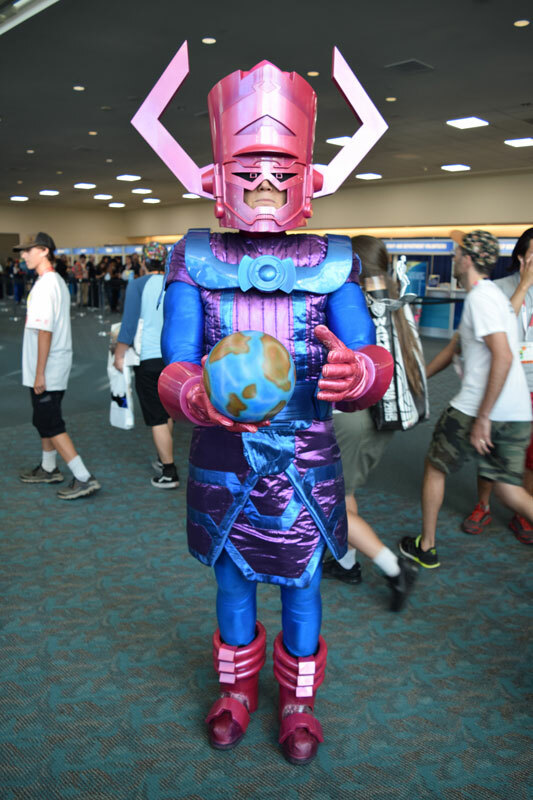 This has to be the greatest Galactus EVER! 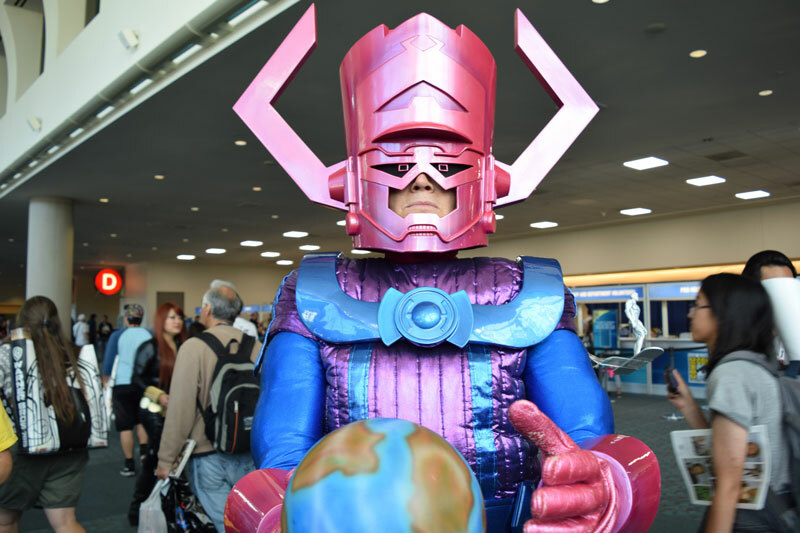 not only was the costume perfect and brilliant if you look on his right side he had a Silver Surfer figure that was scaled perfectly. The planted was a very nice touch too. Loved this Penelope Pitstop and the stuffed Muttly. 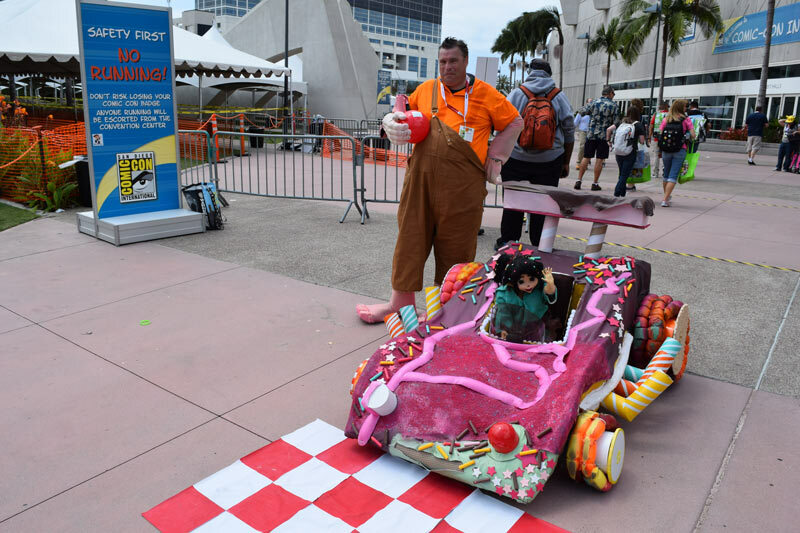 I am a huge fan of the Wacky Races and it was great to see this. 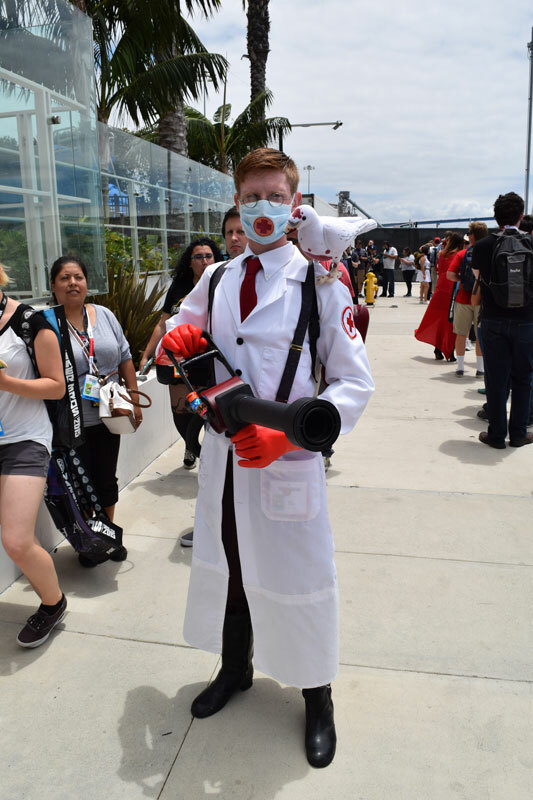 I love when people really go outside the box with cosplay ideas. 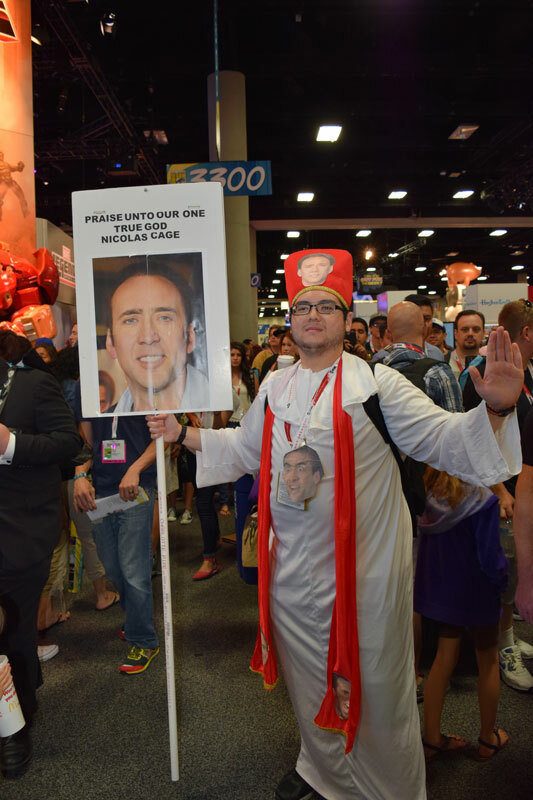 This guy came up with a truly original and great idea. 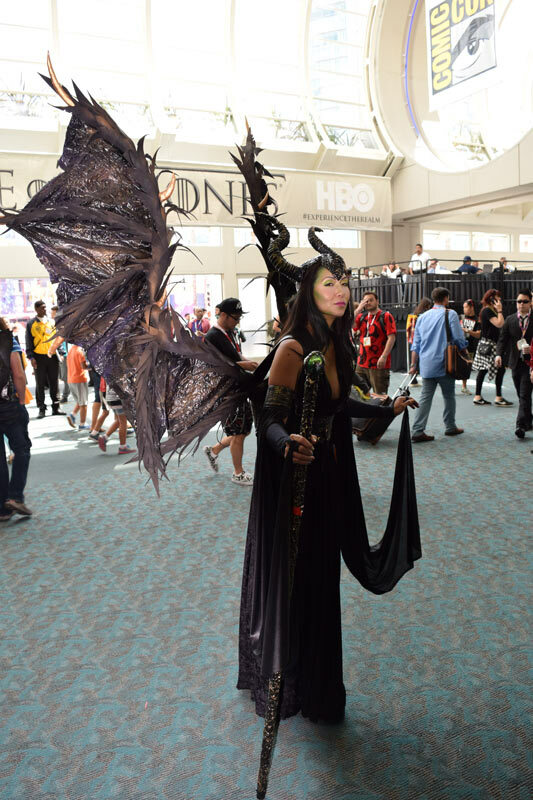 I’m not sure who she was cosplaying but the detail on her wings and outfit were outstanding. 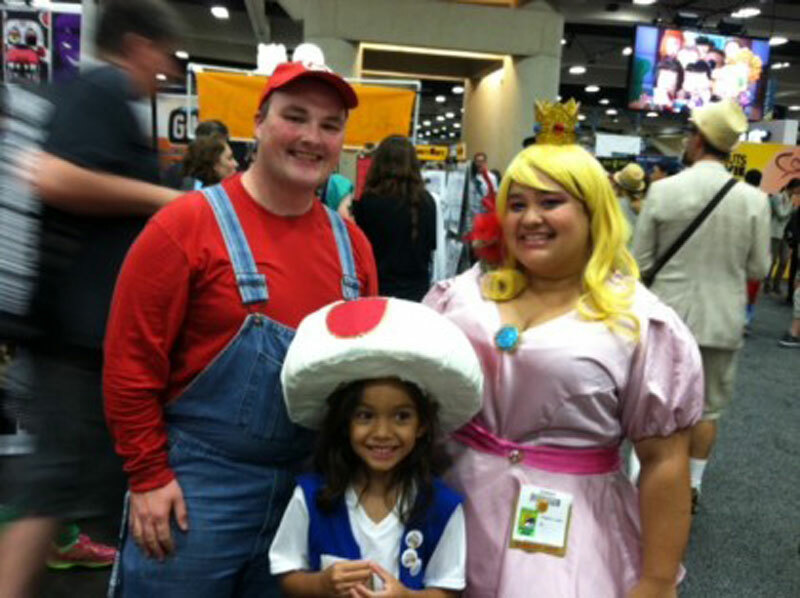 Wreck-It-Ralph has become a very popular cosplay theme and this guy sure had the build for it. Although the doll was a little creepy. 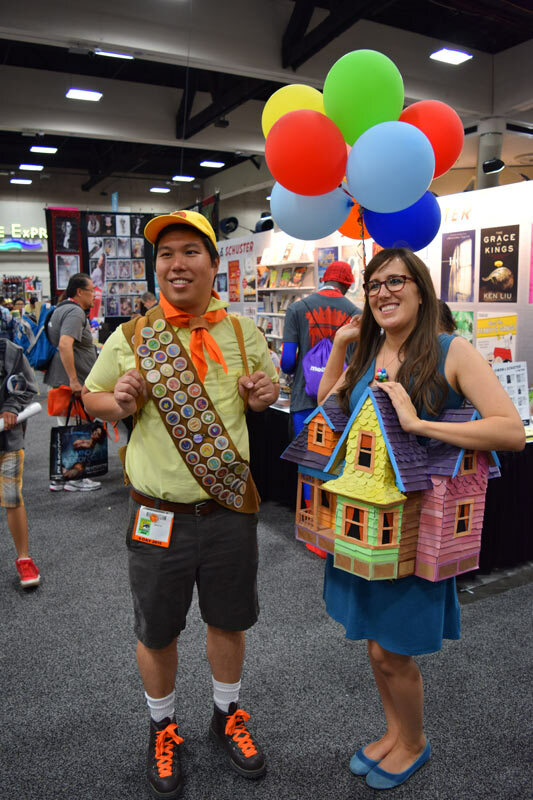 Russell and Carl’s house from Up but didn’t see Doug sadly. 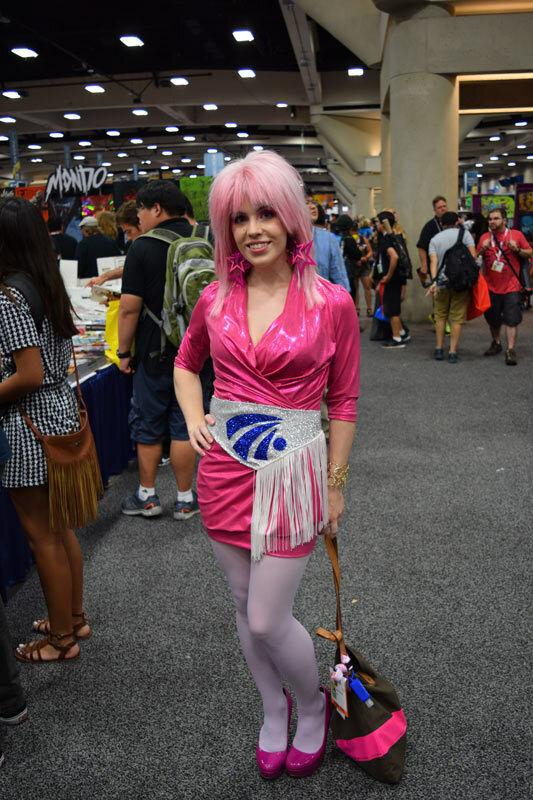 Old school animated Jem from Jem and the Holograms. 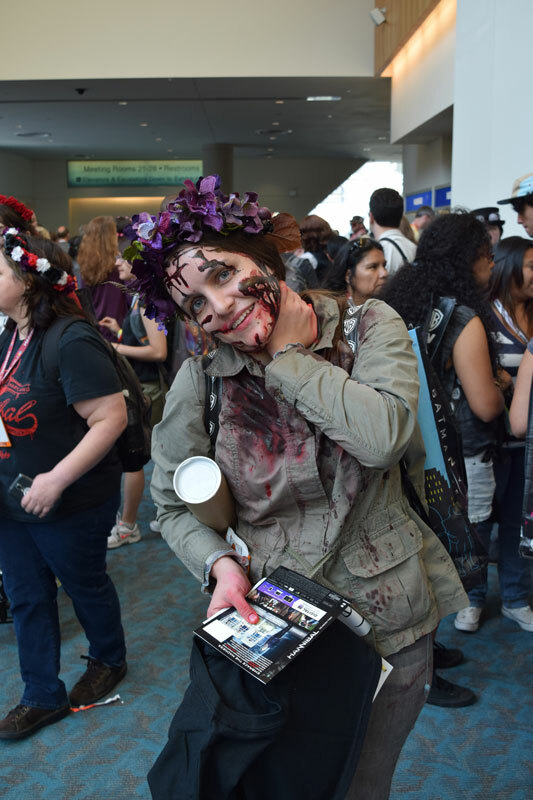 Hannibal Fannibals were out in full support this year at the Hannibal Pannibal on Saturday. 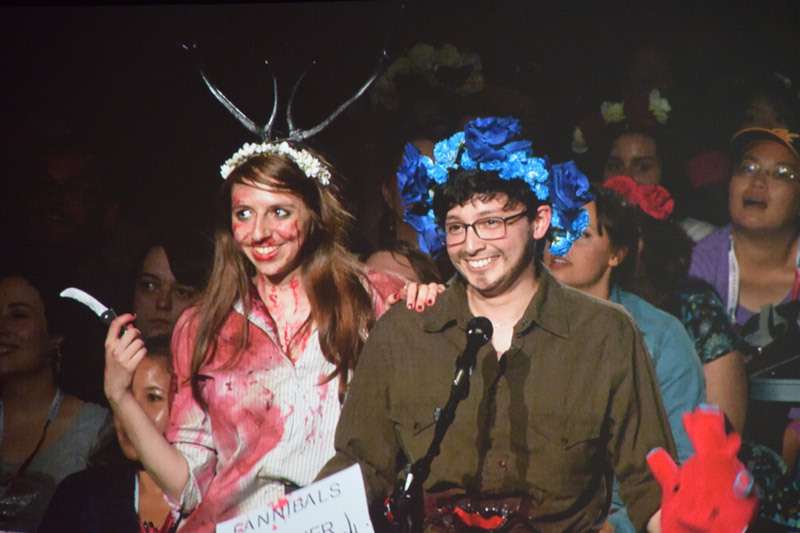 There were a ton of flower crowns and some really great Hannibal cosplay with the Hannibal Stag being very impressive. 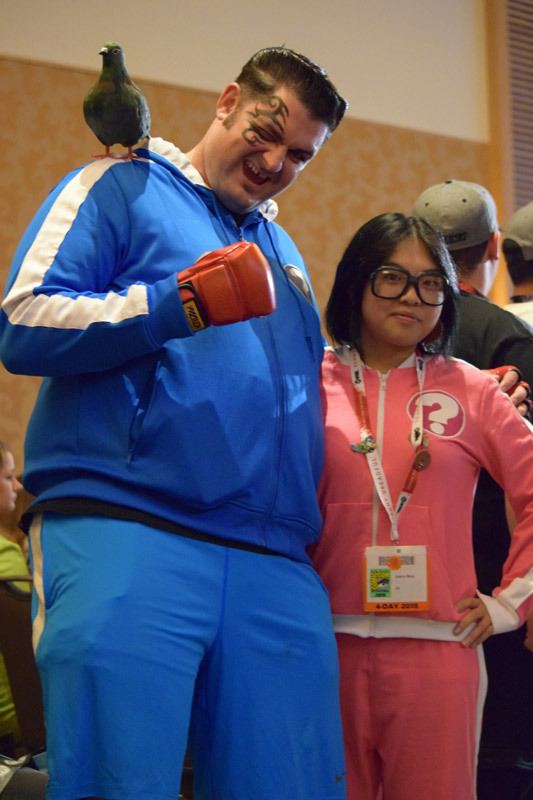 Was impressed to see some cosplay for Mike Tyson Mysteries with Mike, Yung Hee Tyson and Pigeon. 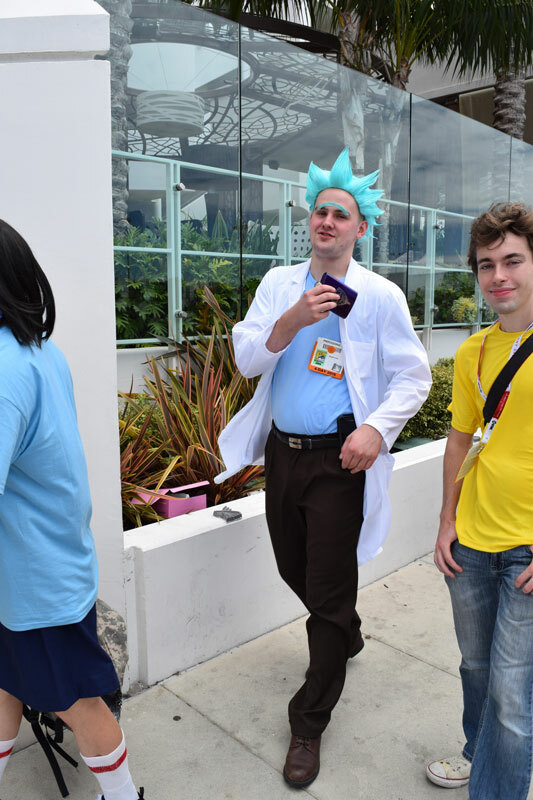 Rick and Morty have become quite the hit on [adult swim] and there was a lot more cosplay for it this year. 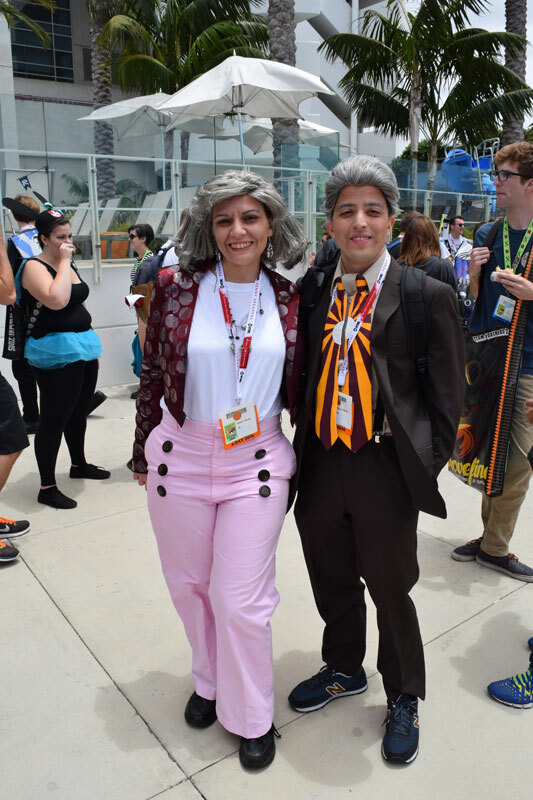 This couple dressed as Marty and Jennifer from the future from Back to the Future II. 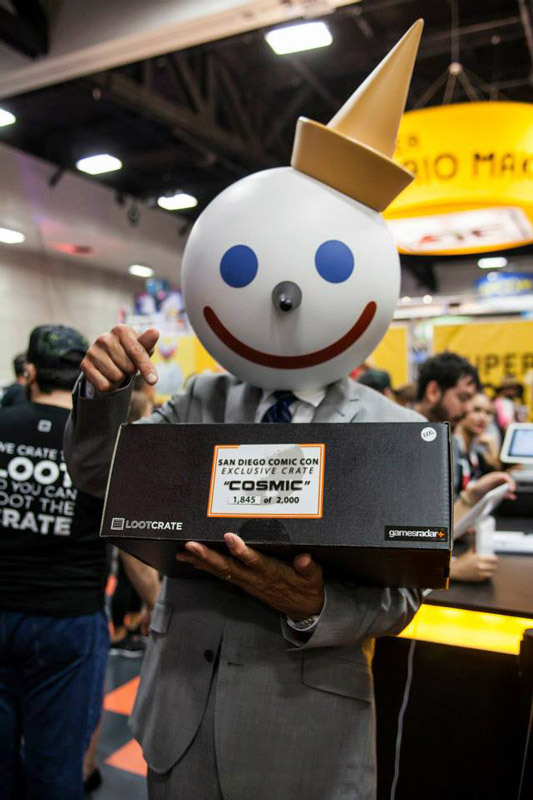 Loot Crate was at the show and got some great cosplay shots at the show. They posted these on their Facebook page. 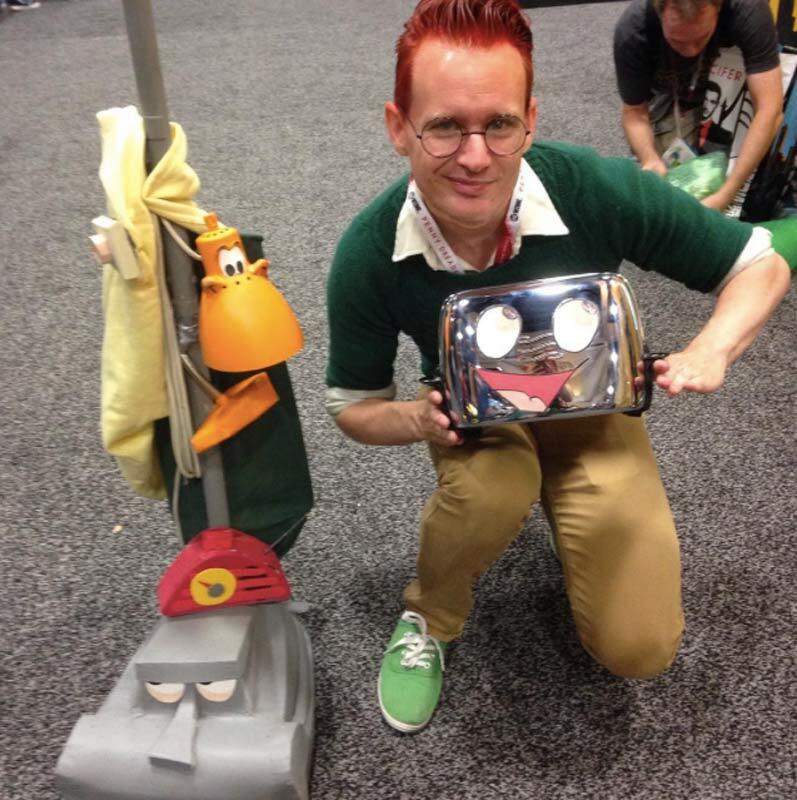 My favorite being the Brave Little Toaster cast blew me away. I really wish that I had seen him and got some photos. 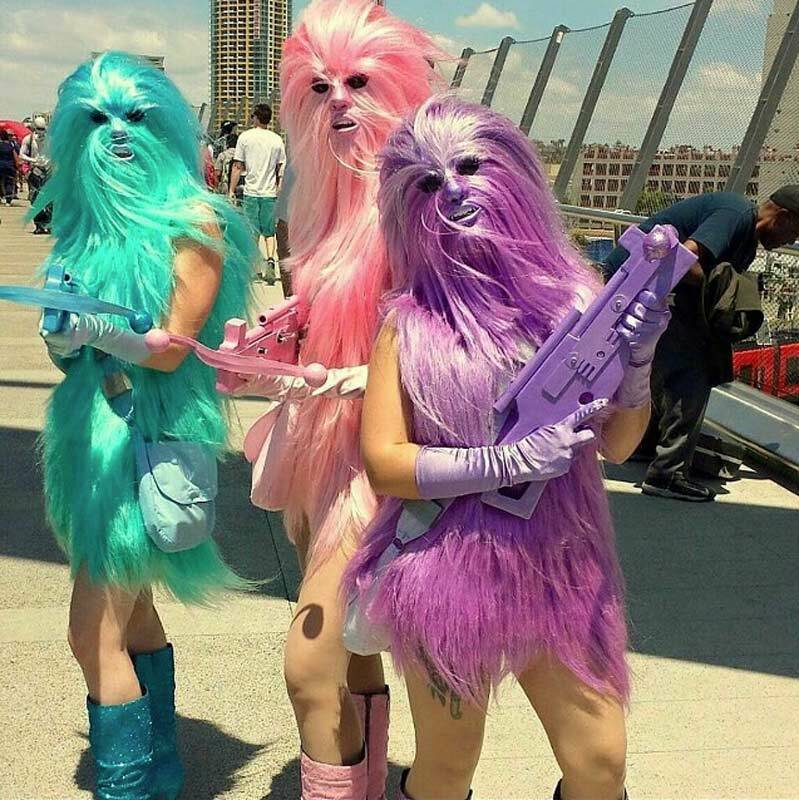 I saw the Wookiee Girls but missed them to take a photo. Another one that I would have liked to seen what the guy as the Phantom from Phantom of the Paradise the classic Brain De Palma film. 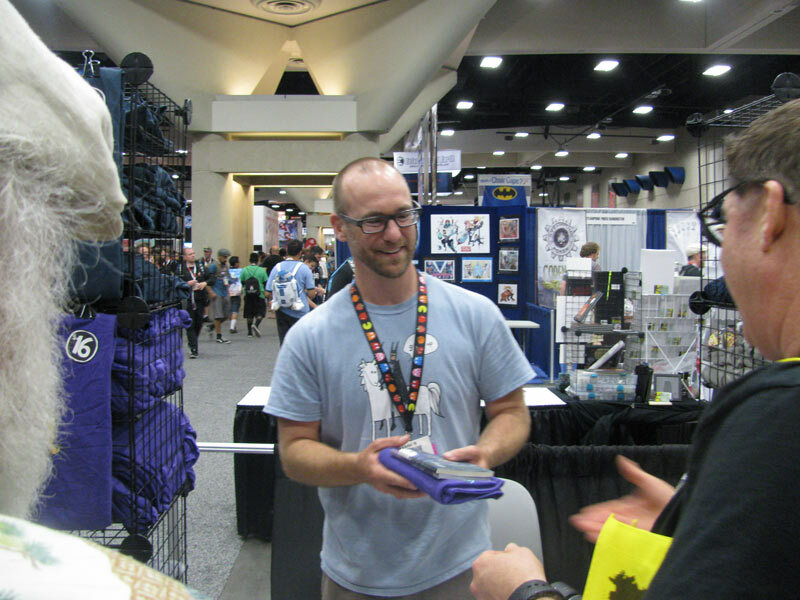 I ran into Ryan Claytor at last years SDCC and he had not only some really great self published comic books but is a huge pinball fan. 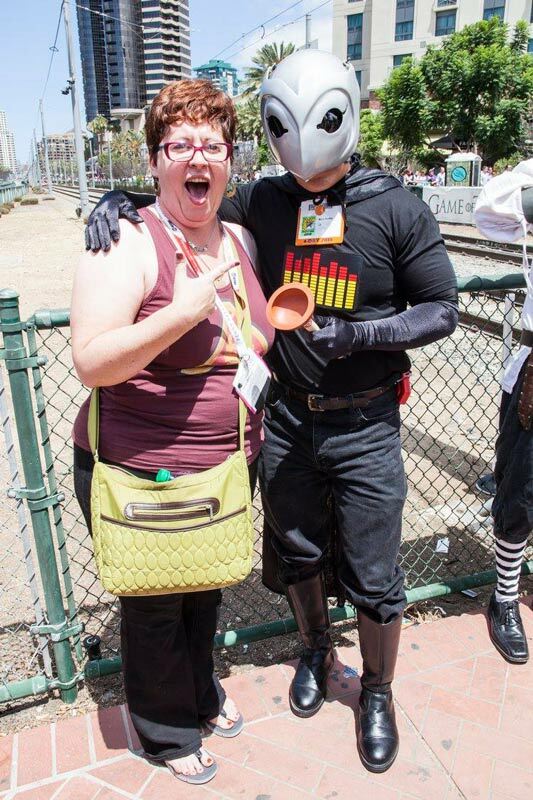 So I was really happy to see him again this year at SDCC. I bought some of his new books and an awesome Pinball at the Zoo shirt. He is not only a great guy but super talented too. 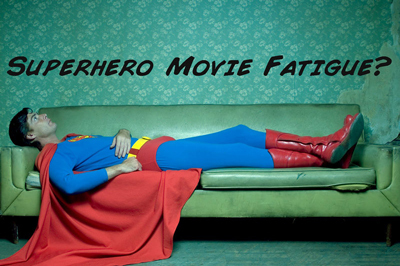 I will hope to have some reviews of his work on the site soon. 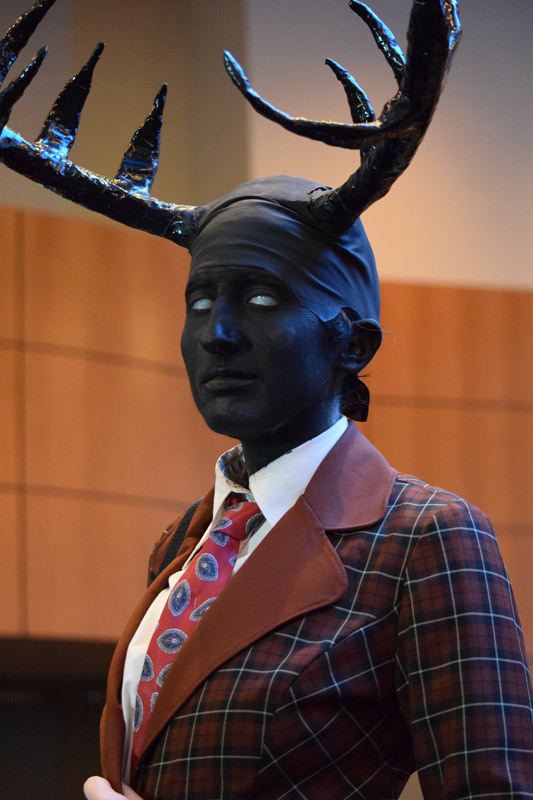 Ryan got some great shots of cosplayers this year and has graciously allowed me to post them here for you. 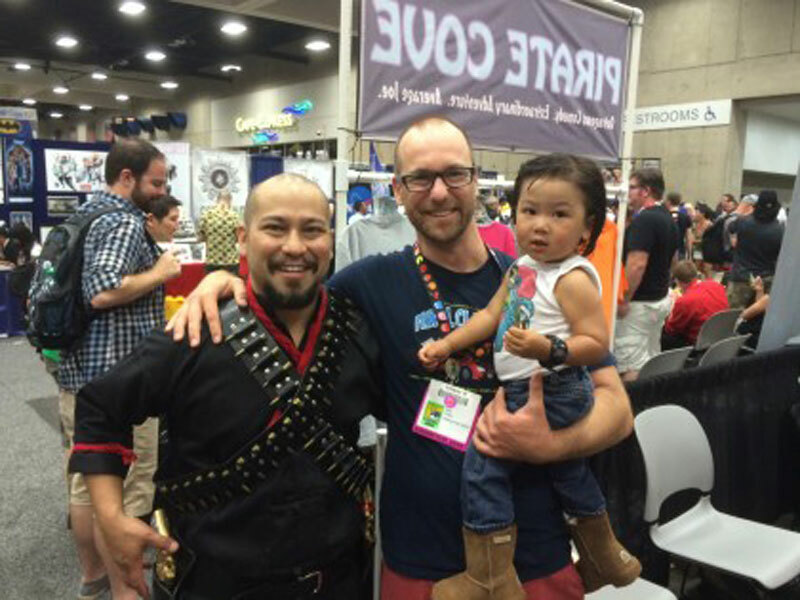 One of my absolute favorite ones is the dad and son cosplaying Big Trouble in Little China. 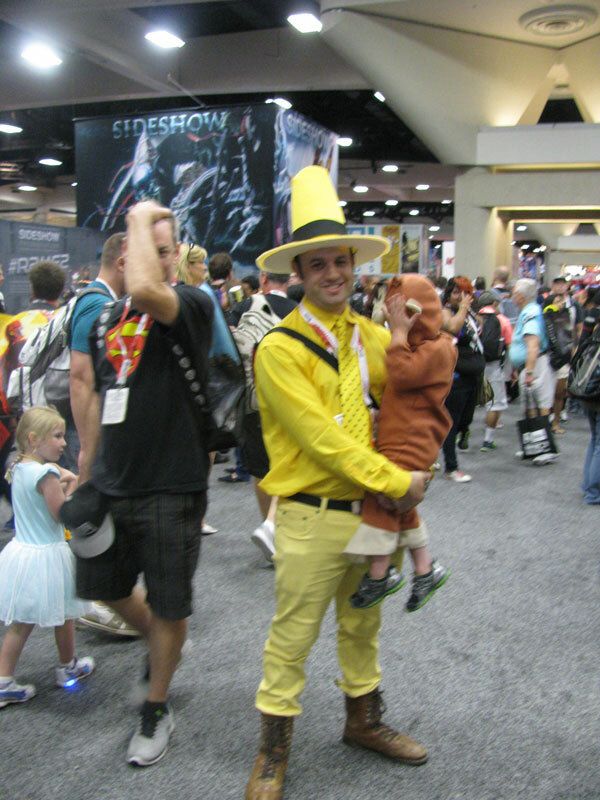 The Mario Family is another fun one and he got a good shot of Curious George and the Man in the Yellow Hat. 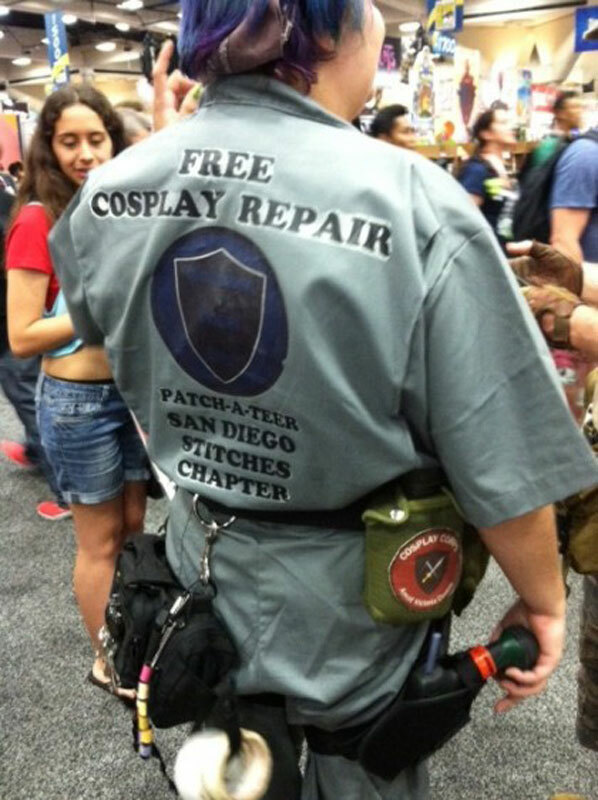 I also loved the cosplay repair man who would fix costumes for people. What a great thing to offer at a show. 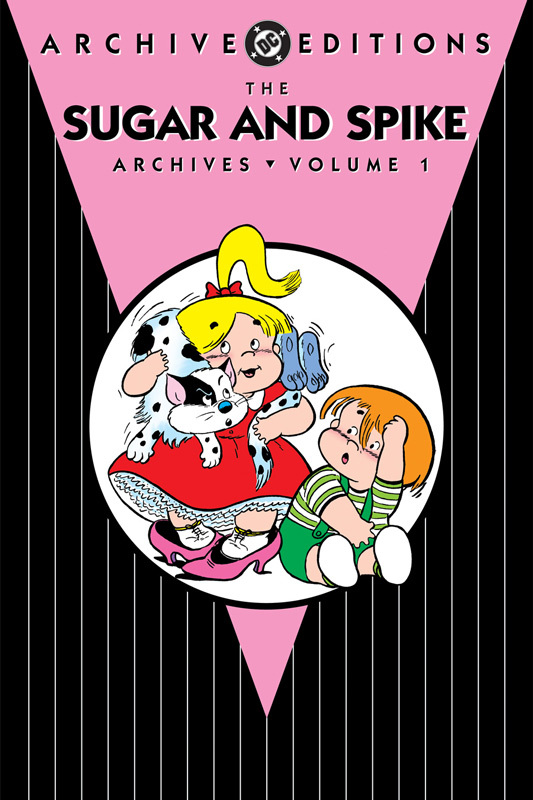 You can find his stuff over at his website Elephant Eater Comics and make sure you buy some of the awesome stuff he has in the store (Click Link Here). Make sure to head over there and follow his blog! 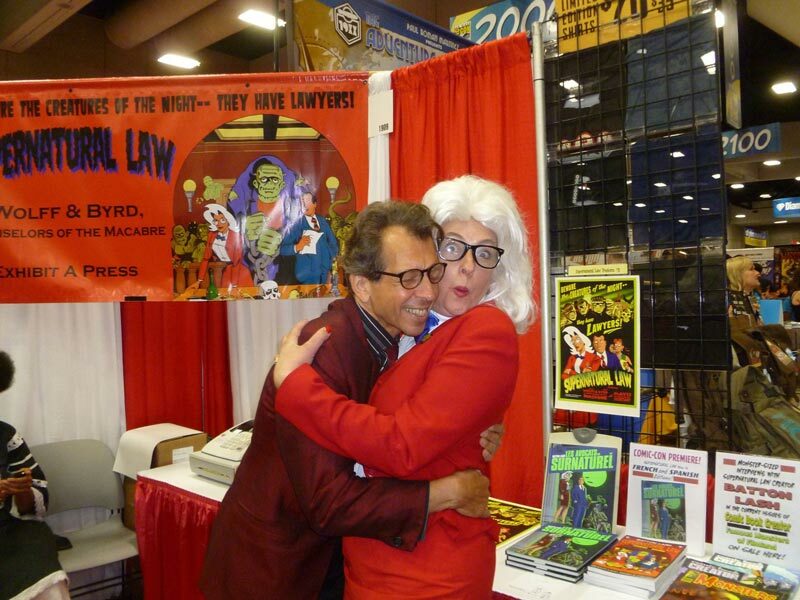 The super talented Batton Lash who does one of the best comic books around Supernatural Law Starring Wolff and Byrd had his creation come to life at this years show. 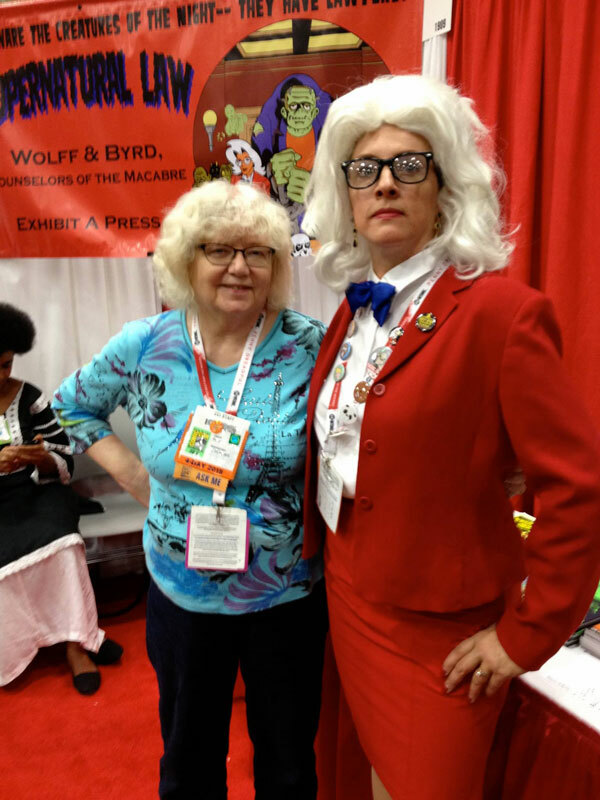 Alanna Wolff stopped by the booth to see Batton and his lovely wife Jackie Estrada. 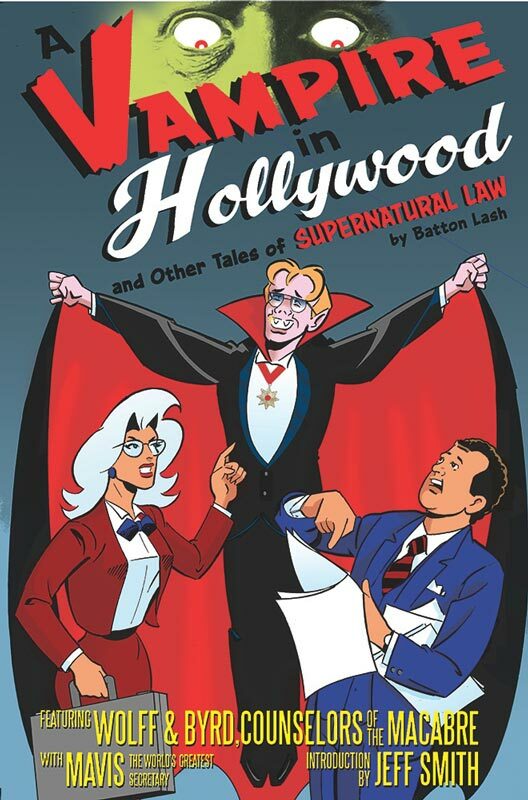 Make sure you head over to the Exhibit A Press site and if you’re not reading Supernatural Law then you can fix that by buying the trades HERE. 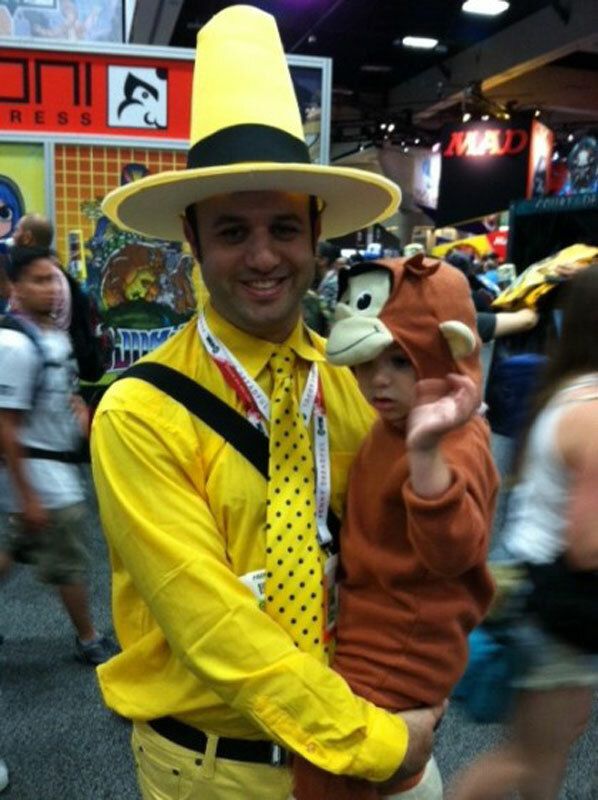 My friend Glenn (find him over here on twitter) got a shot of the Man in the Yellow Hat with Curious George but George was becoming very shy with people taking their pictures. 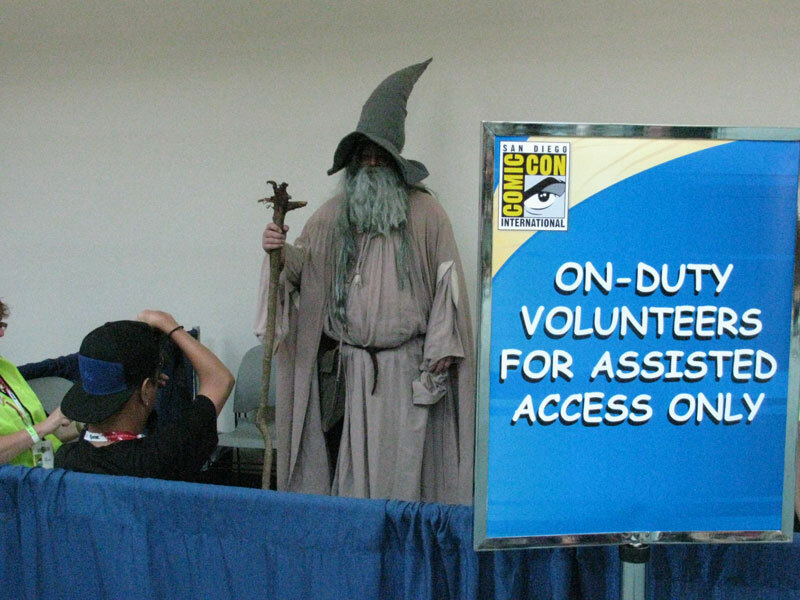 He got one of the most ironic shots of the show with Gandalf holding down the Volunteer booth at the show. 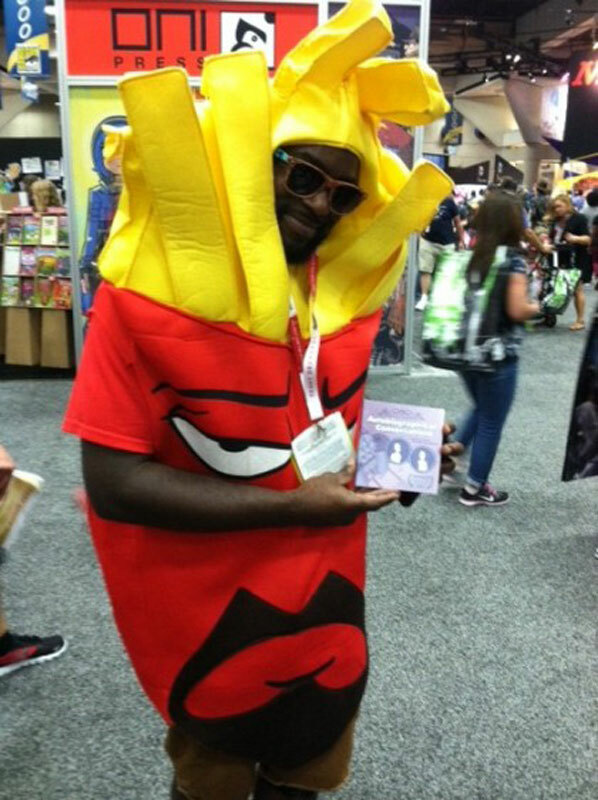 Glenn also got one of the more ironic cosplay moments at the show where the Mooninites from Aqua Teen Hunger Force was twerking with some cosplay girls. 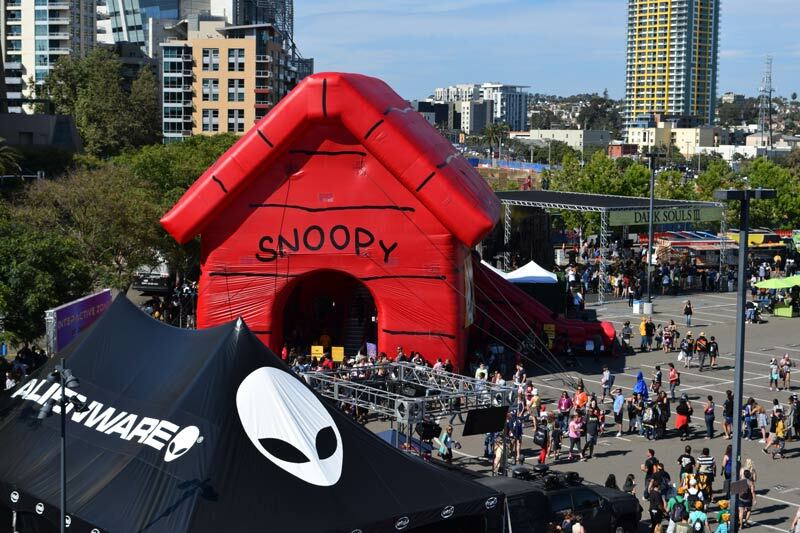 Only at SDCC!